This past weekend I went to Seoul to take advantage of the four-day holiday weekend! Tuesday, May 5th, was Children’s Day and my school gave everyone the day before off as well. I stayed at Bounce Guesthouse, which I highly recommend (clean, updated appliances/bedding, breakfast provided and decent, quiet location in Hongdae). Since it was my first time in the city–I know, after living in Korea for 8 months it even surprises ME I haven’t visited Seoul before…but the timing just never worked out–, I wanted to do all the touristy sightseeing stuff! And I did! 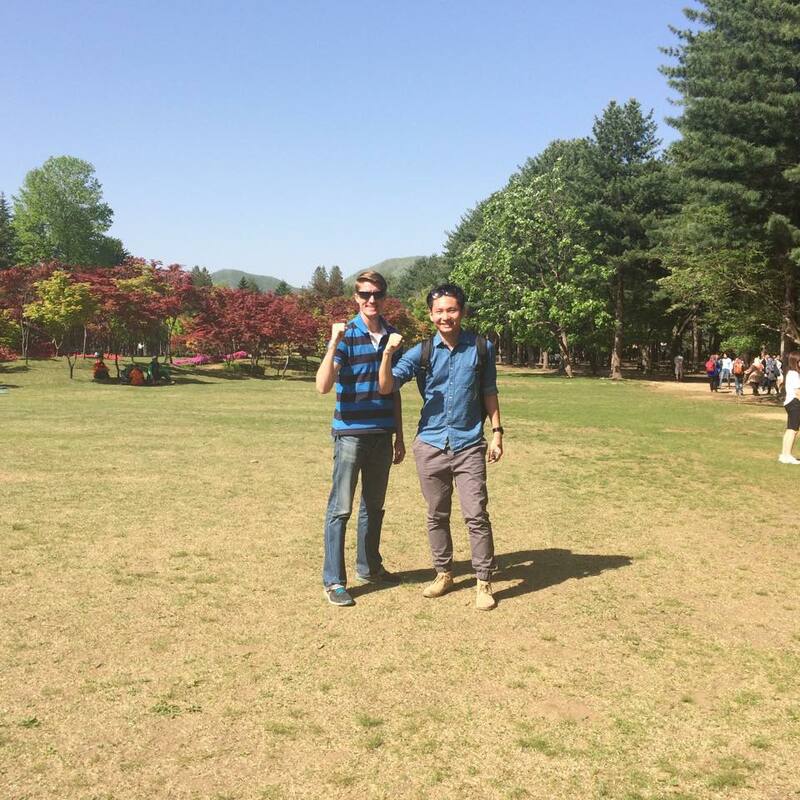 What made the weekend all the better, too, was touring around Seoul with a new friend I made at the guesthouse. On vacation from Malaysia, KT is a 26 year-old guy who works in advertising. As impromptu travel buddies, together we visited North Seoul Tower, Changdeokgung Palace, Dongdaemun market (sort of…it was closed), a jimjilbang, Hangang Park, and Nami Island. We also dined on grilled eel, BBQ pork, blood sausage and deokbokki. It was fun to share all the knowledge about Korean culture I’ve acquired since coming here, and equally cool to learn more about Malaysia. In August, for my summer vacation, I hope to take him up on his offer to visit him in his country so HE can play tour guide/cultural informant! Thanks for a fun weekend, KT! See you in August!